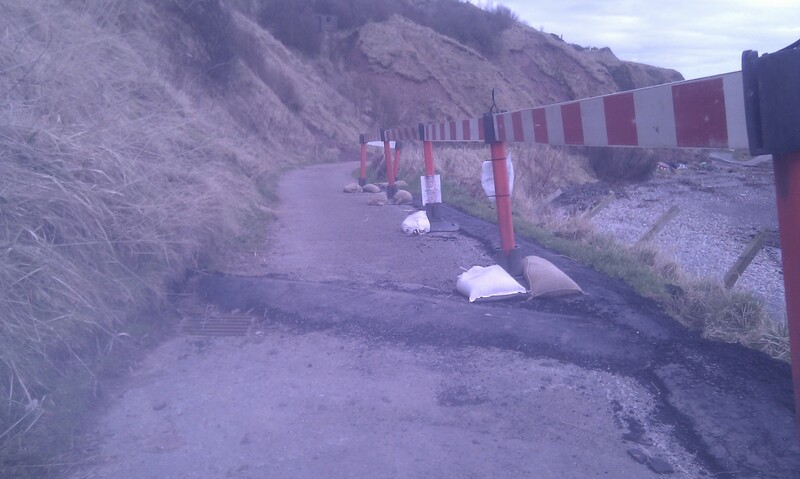 The winter storms have taken their toll up and down the coast, and Catterline is no exception. The road down to the pier has been severely damaged, with sections washed away, land slips blocking the road and subsidence threatening to collapse other sections. 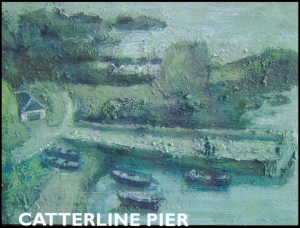 With no realistic prospect that the road will be repaired in time for the race in June, we are sorry to have to say that there is no option but to cancel the 2013 Catterline Cartie Challenge. The 2014 Catterline Cartie Challenge will take place on Sunday 15th June. Submitted by stephen on March 5, 2013 - 13:04. Byron McKibben lifted the Connon's Shield for the fastest run down the brae in the 2012 Catterline Cartie Challenge. Beating off challengers from as far away as Lincolnshire and hi tech gravity racers including two former winners of the SCA Championship, Byron drove The Bandit to victory, snatching the win with Cartie Remedy's final run. The Bandit has been a regular competitor at Catterline since it first appeared on 2006 and is well suited to the short and tricky course. It has always done well but has never quite made the top spot until now. Unfortunately a cone penalty on their first run put them out of contention for the best aggregate time, which went to Bitter and Twisted, beating Whiplash Trash into second place by just 0.03 seconds. There were three sidecars competing this year, and two of them set the fastest times on the course. Monkey Business from Belchford in Lincolnshire set the fastest times, with Team Weasel coming close behind. Submitted by stephen on June 24, 2012 - 00:18. Submitted by stephen on April 20, 2012 - 11:48. 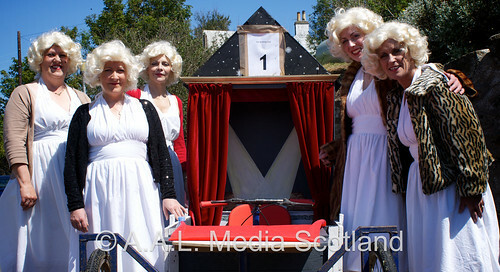 Entry forms for the 2012 Catterline Cartie Challenge are now available. You can either enter online or download an entry form and put it on the post. Submitted by stephen on February 14, 2012 - 02:16. They've been a loooooong time coming, but they're worth the wait - check out the pictures of this year's Cartie Challenge by AAL Media Scotland. Submitted by stephen on October 22, 2011 - 15:17.